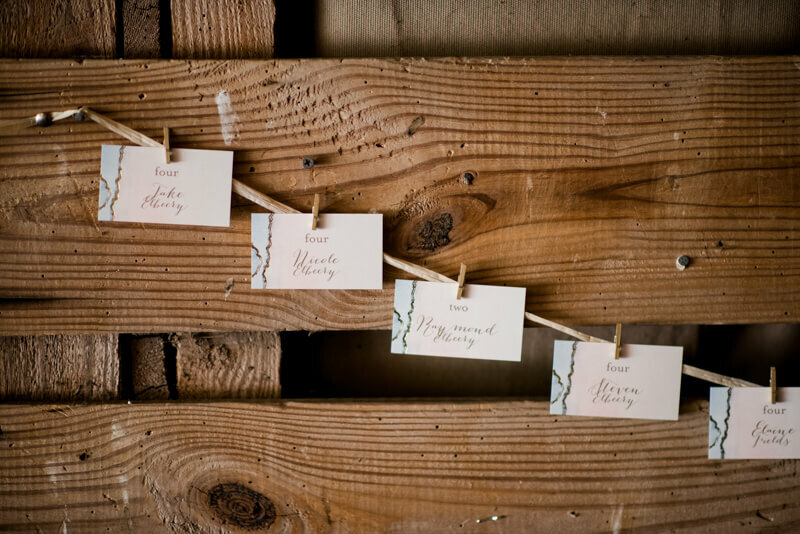 Fearrington Barn North Carolina Wedding. 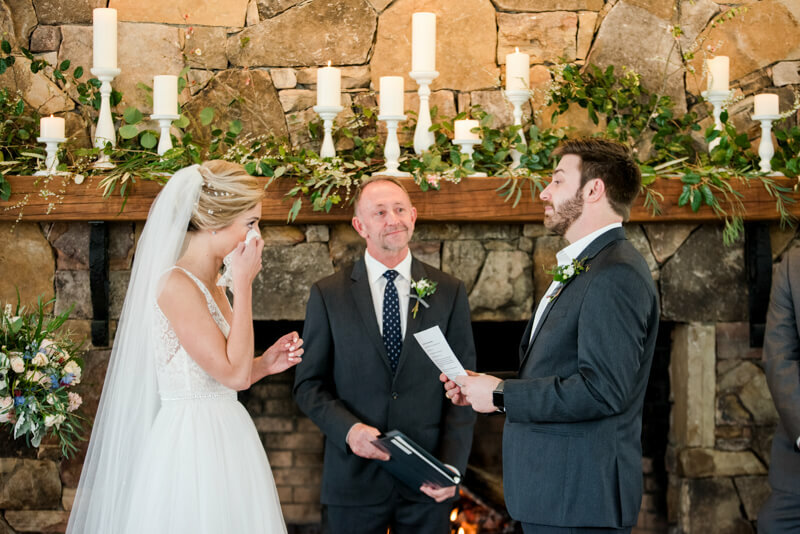 Allie and Carson exchanged vows on March 4, 2017 in Pittsboro, NC. They had a beautiful day! 1. After dating for about 3 years, I had absolutely no doubts that Carson is the man I was meant to marry. We had been supporting and loving each other in good times and bad times, in sickness and in health… all that was left was to make it official! When Carson told me we had plans for the night of December 22, I honestly thought it was a Christmas party that I had forgotten about. Little did I know that he had planned the most perfect proposal. Carson asked me to put a blindfold on and took me to the Old Well, an iconic landmark on UNC's campus. When I took it off, Carson was down on one knee with our dog, Dean, sitting beside him. Standing there, in my favorite place with my favorite person and our furry child, the feeling of love was palpable. Of course, I said yes, and Carson pulled my favorite flowers and a bottle of champagne out of the azalea bushes. I couldn’t have imagined anything more romantic or special to us! I can’t wait to spend the rest of my life with such a caring, handsome, funny man, who just so happens to be my best friend! 2. Carson and I met during undergrad at UNC. 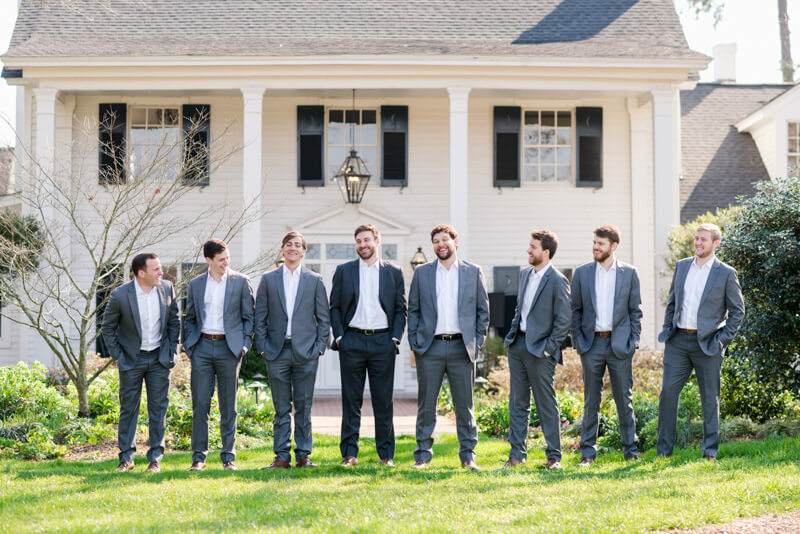 Our story begins like so many others, “we met at a bar.” On a whim, my roommate at the time (and now bridesmaid) and I decided to go out, and when we got to our destination, we realized that a big group of favorite fraternity boys were there celebrating a birthday. Drinks were flowing and debauchery ensued, but I hardly noticed. All of my attention was focused on this cute, funny guy that I was pretty sure had served me a blue cup or two. Carson and I didn't stop talking until our friends were more than ready to head home. I've had a lot of fun nights in Chapel Hill, and this was no exception, but I was surprised to find that I just couldn't stop thinking about Carson. We had exchanged numbers, and I was giddy when Carson texted me the next day. To this day, I don’t think we've stopped texting since. We took each other to a few parties, and every time was the same: we were so engrossed in conversation that we basically ignored everyone around us. It's hard to explain, but from the moment we met, there was an immediate connection. As cliche as it sounds, I felt like I had found my other half. After each time we got together, we became more and more inseparable. And the rest is history! 3. The entire day was one giant highlight, so it’s hard to pick just one… One jumps out as the “eek! I’m getting married” moment - as my bridesmaids and I were getting ready in the bridal suite, we realized that we could see the boys walking around the gardens, waiting to get ready and taking pictures. Standing there, surrounded by my best friends, looking down at my very soon to be husband nervously try to keep his cool was surreal. My heart swelled with excitement and love. That feeling stayed with me throughout the entire day, and will be with me for the rest of my life. The biggest surprise of our day turned out to be my father’s welcome toast. He refused to unveil it before the reception, so no one knew what to expect. As one of our guests told Carson, “Dr. Elbeery killed it,” and I couldn’t have said it better myself. He had everyone laughing, crying, and doing the “Tar” “Heel” chant. A true welcome, he acknowledged all of our family and friends, and made sure they knew how special their presence was to us. The whole toast was so perfect it was like something out of a movie, but my favorite part was hearing my dad talk about Carson. He told us all how he knew that he liked Carson from the first time they shook hands because he could immediately tell Carson was a real, genuine, down-to-earth person. He said how proud of both Carson and me he was and how excited he was for this new chapter in all of our lives. *cue the tears! * There is something special about the daddy-daughter bond, and to hear my dad tell all of our family and friends how much he loved Carson made an already amazing day even better. 4. 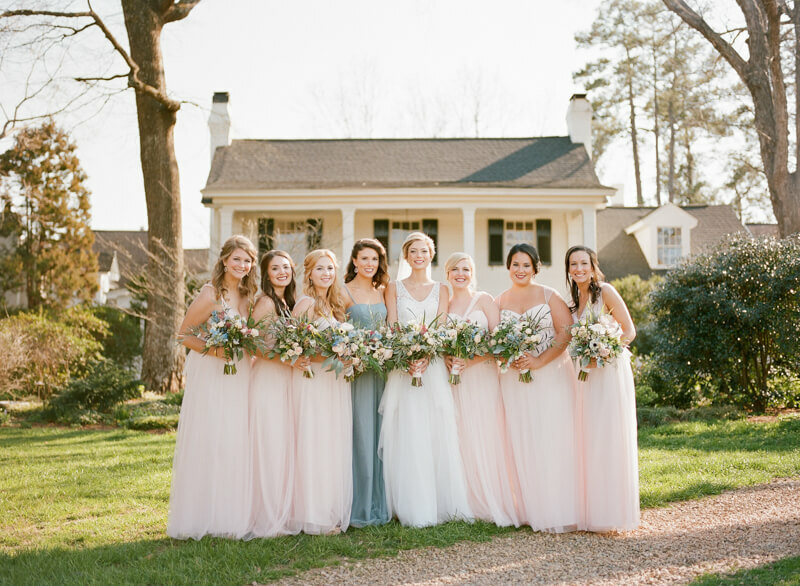 My vision was to make the wedding feel ethereal with a touch of boho vibes… We wanted our group of 100 closest friends and family to feel transported from Chapel Hill into a place that was an intimate celebration of not only Carson and I, but of their love and support that was part of shaping our relationship. Overall, we wanted our wedding to be very “us” - from Carson’s father officiating, our doggie-child Dean ring-bearing, to the UNC-Duke rivalry game playing at the reception, the day perfectly captured who Carson and I are as a couple. I am so lucky that my wedding surpassed my wildest dreams!